Kooee is celebrating! 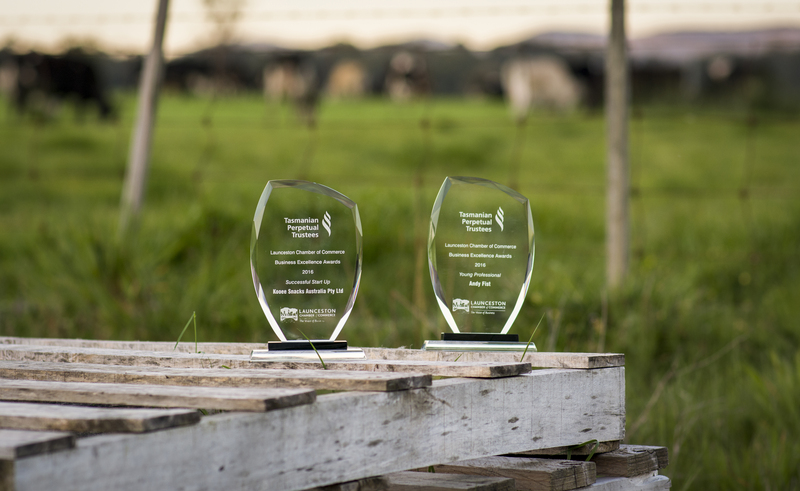 Our little food start up just won an award! by: Andy Fist, Director and Co-Founder. 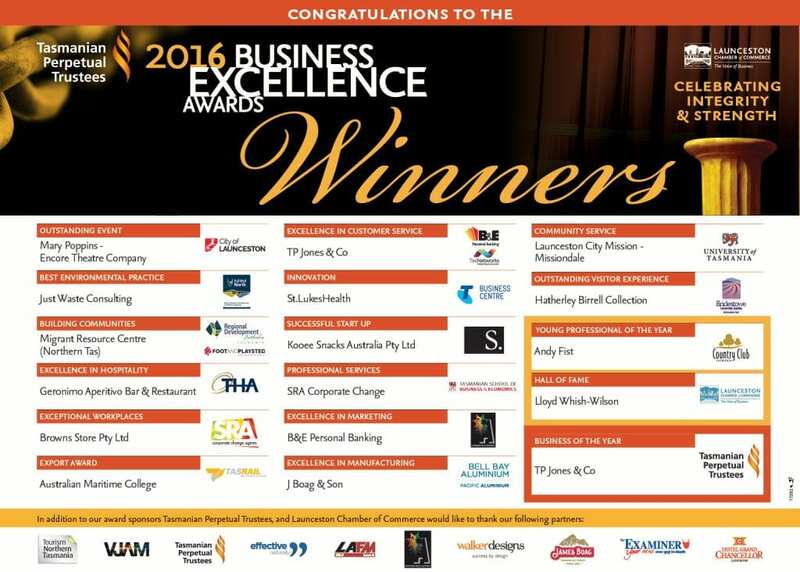 We went to the Launceston Chamber of Commerce Business Excellence Awards over the weekend and won the “Successful Start Up” category. 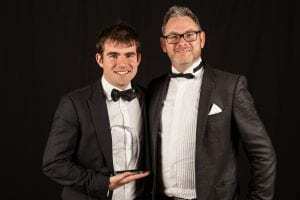 This award was sponsored by the team at S Group, and presented to me (in a very cheeky speech) by Operations Manager Phil Beeston. Phil is friend of mine who has witnessed KOOEE! transform from an idea into a commercially-viable product. The poor man has heard every last detail during long trail runs together including the Overland Track, Frenchman’s Cap, and Mount Ossa. 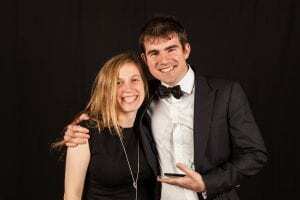 Then, later in the evening, I was invited back to the stage to receive the “Young Professional of the Year” , sponsored by Country Club Tasmania. Needless to say, it was a very exciting night. 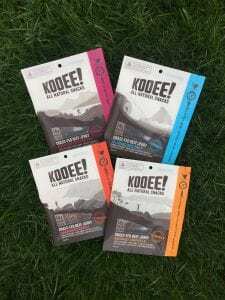 In the wake of th ese awards, I’d like to use my 15 minutes to share a few details about KOOEE! start-up story. We are a team of people obsessed with quality beef jerky products. I’ve been working on KOOEE! with my co-founders since December 2013. Our first products hit the market (the farmers’ market) in September 2015, and it was soon available at a few local businesses, such as Moore’s Hill Vineyard and Davies Grand Central. Flash forward to the present, a year into selling jerky. We now have four flavours sold across Tasmania in independent food stores, and next week we’ll be available in a major retailer for the first time. We’re negotiating agreements with distributors in every state in Australia, and even getting interest from international buyers! It took 3 years, but hopefully our food start up is about to become an “overnight success”. 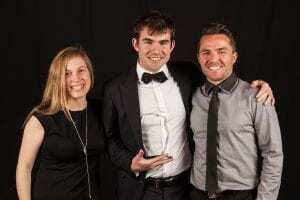 We’d like to thank the Launceston Chamber of Commerce for getting small, relatively unknown businesses like KOOEE! involved in the awards, and for throwing a great party. Also, a huge thank you to Bay of Fires Eco Tours (looks awesome) and the Northern Young Professionals Network for all the fun on our shared table.